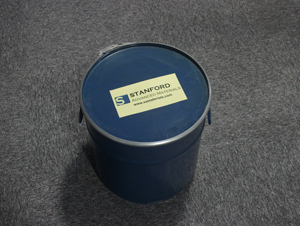 Stanford Advanced Materials (SAM) is a trusted supplier and manufacturer of the high quality and ultra-high purity Thulium oxide. Various sizes are available upon request. 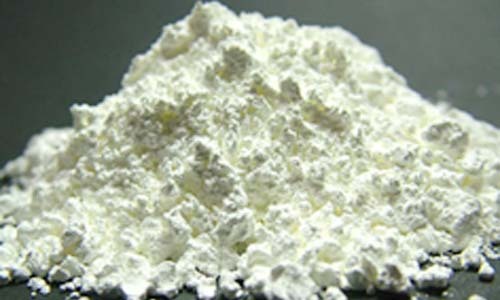 Thulium Oxide, also called Thulia, is the important dopant for silica-based fibre amplifiers, and also have specialized uses in ceramics, glass, phosphors, lasers. Because the wavelength of Thulium-based lasers is very efficient for superficial ablation of tissue, with minimal coagulation depth in air or in water. This makes Thulium lasers attractive for laser-based surgery. It can also be used in portable X-ray devices that has been bombarded in a nuclear reactor as a radiation source. Thulium oxide (Tm2O3) is a pale green compound. Thulium oxide can be produced by burning thulium metal in air, or by decomposition of their oxoacid salts such as thulium nitrate. It is hygroscopic and absorbs water and carbon dioxide from the atmosphere. Due to the nature of Oxide compounds, Thulium oxide is not conductive to electricity. However, Thulium oxide has several applications in fuel cells and oxygen generation systems. 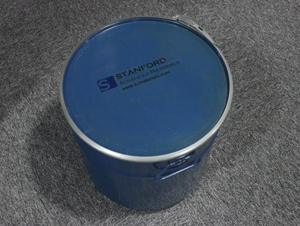 Used in x-ray applications for blue and ultraviolet emissions. Used to make thulium metal. Thulium Oxide for vacuum deposition. Our Thulium Oxide is carefully handled to prevent damage during storage and transportation and to preserve the quality of our product in its original condition.